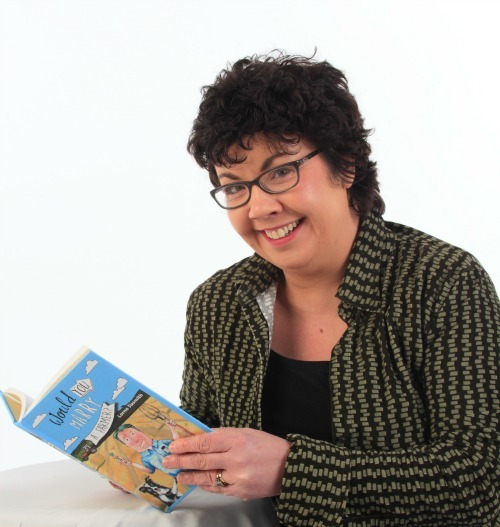 Lorna Sixsmith is a farmer’s wife. In fact, she wrote the book ‘How to be the perfect farm wife’. Who better to advise on what to expect at the Ploughing? The National Ploughing Championships is the ideal place for the farmer’s wife to find out exactly what she has to do to be considered perfect by her peers, her husband and of course, her mother-in-law. She will have planned the journey route, stored away packets of wipes, written her phone number on the arm of each child and decided on her itinerary for the day. But there’s more to it than that isn’t there? When you arrive in the car park, hopefully without many delays, you’ll notice that lots of people aren’t jumping out of their cars, donning their wellies and striding off towards the show once they check the name and number of the car park. No, they are setting themselves up for a long day by going to the boot of the car first. Out will come the flasks of tea, mugs, a bottle of milk, a jam jar of sugar and a huge Tupperware container full of ham sandwiches. Unless you can set your family up with a hearty breakfast and supper (yes, this repeats itself when you all get to the car in the evening), you’re going to be regarded as being below par. Even if you don’t know a bain-marie from a bun tin, you’ll be spoilt for choice with the number and variety of cookery demonstrations happening over the three days. You can benefit from a well-earned rest if you get to the tent early enough to get a good seat. You’ll also be able to convince others that you’re a good cook – just because you’re there nodding away when Neven imparts his tips. Any farmer’s wife worth her salt has to be able to make a decent loaf of brown bread, and if you’re failing in that regard, you can pick up hints from the mutterings as the annual Queen of the “Brown Bread Making” competition is announced. If you really want to impress others, then prepare to enter this competition next year. You’ll know the standard you have to beat as Aldi sells the brown bread created from the winner’s recipe each year. The first prize can be a nice little earner too. Whether it’s for your enjoyment or to impress the neighbours at the next local fundraiser, you will learn a variety of skills in the ICA tent. Choose one or two skills to learn rather than running the risk of overwhelming yourself. There’s usually butter-making; cake-icing; basket-making and flower arranging at the very minimum. If you’re dairy farming, butter-making has to be first on the list. 5. What wellies to wear? Why is this important as long as they are wellies and keep your feet dry? I’d agree that’s the most important factor, but you see, your style of welly sends out all kinds of messages about you. Plain wellies (purchased at the Creamery) with the scars of ingrained muck will demonstrate your hard work ethic. Bright, colourful yet plain wellies suggest you like the yard to have a bit of pizzazz while patterned wellies just might suggest you normally use them for splashing in puddles and going to festivals. You can go to the ploughing and never see an animal or a tractor. It is now a shopping mecca. You’ll meet lots of other women carrying the latest gadget, be it a miracle window washer or a fancy vegetable grater. You’ll find products like the best furniture polish, the most moisturising hand creams and books on how to be a perfect farm wife. If you want to be super organised, you could even do all your Christmas shopping there. And don’t worry, you’ll find an ATM there too. So, if you haven’t been to “the ploughing” for a few years, this is your year to make your comeback. And if the thought of the portaloos is making you squirm, don’t worry, there are now “proper temporary loos” with cubicles, toilet paper, sinks, soap, hot water and mirrors. Such things are important in life. READ: How to set up a stall at a farmers’ market. 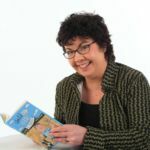 Lorna Sixsmith is an author and is also married to a farmer. Her books include: How to be the perfect farm wife; Would you marry a farmer? ; and An ideal farm husband. Follow Lorna on Twitter @IrishFarmerette. Also, visit ThinkBusiness – the Bank of Ireland tent, block 2, row 11 – at this year’s Ploughing from September 20-22, Screggan, Co. Offaly.